The Business Growth Committee reviews and monitors the EDC’s activities targeted to existing businesses, assists with prioritizing company outreach calls, and provides assistance with business issues as needed. The committee also assists with business recognition programs and networking events such as business roundtables. Finally, the committee reviews and monitors the EDC’s prospective industry marketing activities and assists EDC staff in developing target marketing programs and proposals. Because this committee functions as a “response team” for responding to prospective companies’ information needs and assisting with visits, membership must include experts on a variety of topics, including utilities, zoning/permitting, developers, workforce/training, transportation, and ally organizations. The Finance Committee is chaired by the Treasurer of the Corporation and is charged with reviewing/approving monthly corporate financial reports prior to their submission to the Board of Directors. In addition, the Finance Committee is directed to work with the Executive Director to propose a corporate budget for the next fiscal year at least 60 days prior to the end of the current fiscal year. Finally, the Finance Committee shall oversee any campaigns to identify and secure funding sources for corporate operations. The Marketing Committee will also assist in the development of appropriate marketing materials; and a public awareness campaign, including identification of publicity opportunities, local speaking engagements, regular media coverage, and preparation and distribution of newsletters and other publications to inform investors, stakeholders, allies, prospects (as appropriate), and the general public about the EDC’s activities, purposes, goals, and accomplishments. Small Business Development Centers are required to create and maintain a board of advisors comprised of local/regional small business owners and other small business-related members such as lenders, equity investors, chamber of commerce representatives, other economic development individuals, educational institution personnel, governmental representatives, and other appropriate individuals who reflect the SBDC’s market sector focus. Meetings of this committee must comply with the Open Meetings Act. Betty Brennan, Chair Taylor Studios, Inc.
Gary Burgett Smith/Burgett Architects, Inc. 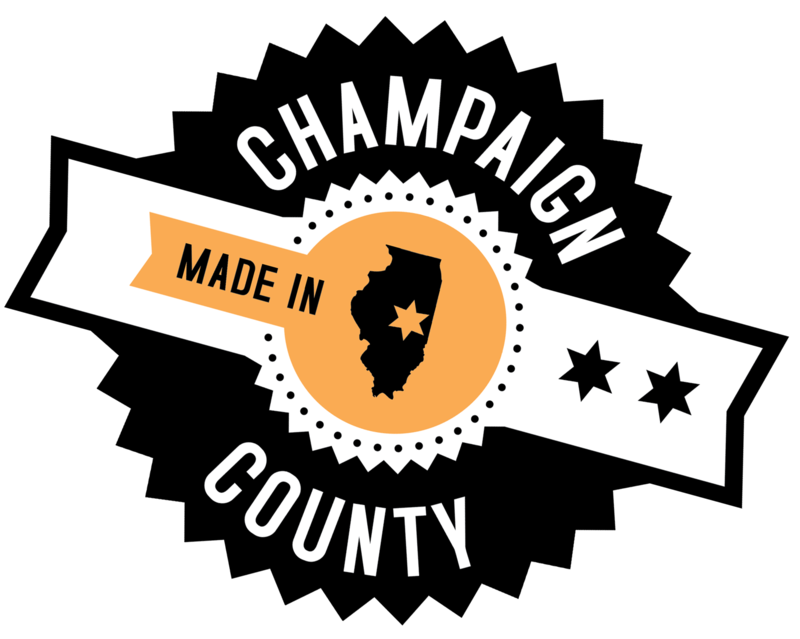 The Technology Committee works to promote Champaign County as a Midwestern hub of innovation and entrepreneurship. Collaborating with the University of Illinois, its Research Park, and other partners, the committee monitors technology innovations, maintains a directory of local technology companies, and provides oversight for tech-related networking events such as TechMix! and Innovation Celebration. The overarching goal of the committee is to continuously improve the county’s workforce to meet the current and future challenges of employers and to enhance awareness of and engagement in programs that prepare and advance their workforce. The Committee will work to collaborate with program providers, educational institutions, students, employees, and employers to reach this mission.